Dolce & Gabbana took the ugly Christmas sweater lineage REAL seriously and developed an entire winter line called, that’s right, the Ugly Christmas Sweater Collection. Many of our Christmas traditions come from Nordic ones and I actually wonder if somehow the Christmas sweater may have some minor beginning there. 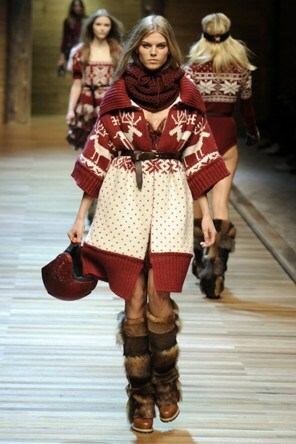 True or not, D&G took their inspiration for their Ugly Christmas Sweater line from the Nordic sweater. If you’re not already familiar with Nordic sweaters, look at Dale of Norway before you continue on with your life. 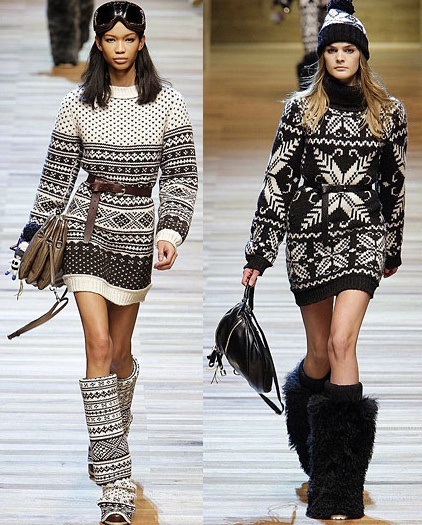 Nordic sweaters are so named because they’re made using a knitting technique developed by Norwegians. Duh. 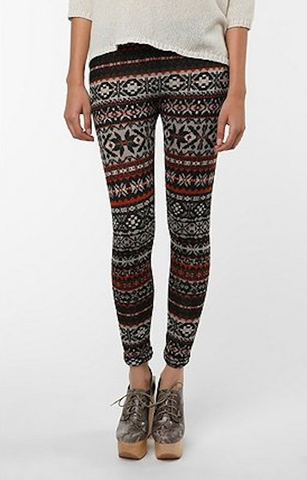 On a slightly tangential note, if you’re flying somewhere for the holidays, consider wearing these instead of aesthetically offensive flannel pajamas, sweatpants, and UGGs. If I do anything in my time on this Earth, it will be to convince people to stop looking like lumpy time travelers from a depressed and lazy future when they travel. Spruce up! 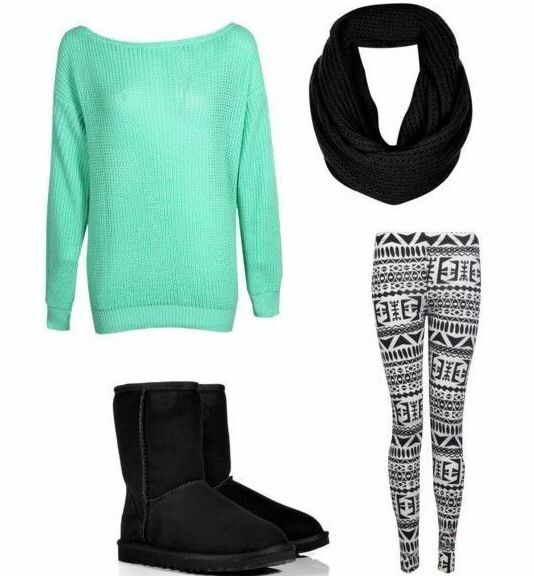 Leggings are comfortable on a plane! ← Gwen Stefani’s Playful Side!